Floor pressure mat alarm and transmitter to alert carer when someone has left a room. Features an under rug, non-intrusive design and is ideal for dementia patients. It can be difficult to always monitor an elderly patient closely, particularly if they suffer from dementia and may be prone to wandering off. While during the day you are more able to give them your full attention, it can be a different story at night. You just want to ensure that your patient or loved one is safe, without sacrificing your sleep and their privacy by gluing yourself to their side all night long. 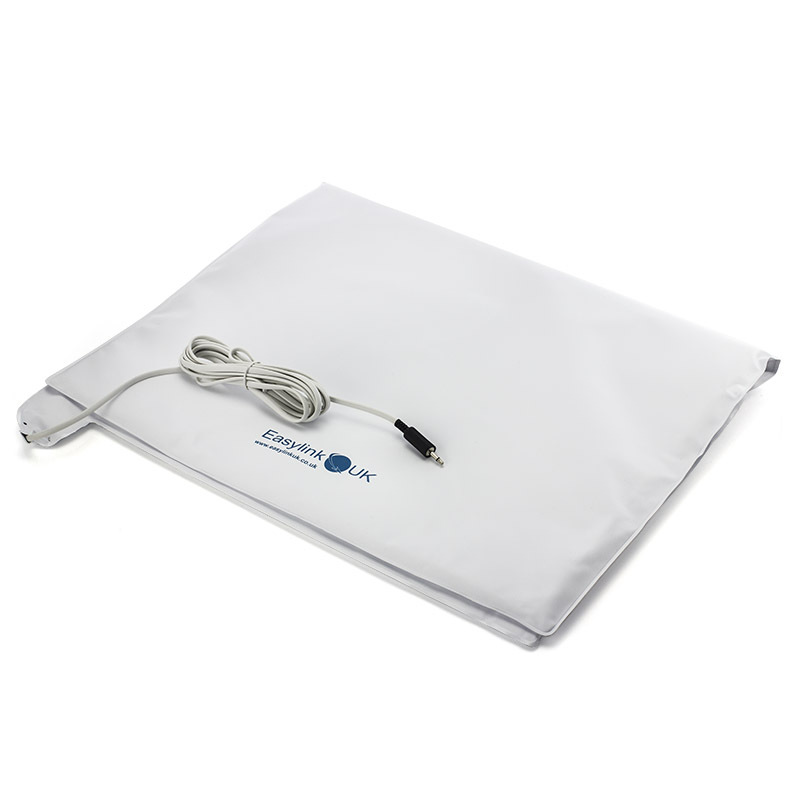 The Pressure Mat with Transmitter alerts you if your patient has left a room. Activated by pressure, the mat sits under a doormat or rug, and works with your existing MPPL Alarm Pager to help you keep tabs on someone in your care. Therefore, you can sleep a little easier knowing you'll be the first to know if your patient or loved one is at risk of getting lost or harming themselves, even if you are on the other side of the house. How Does the Pressure Mat with Transmitter Work? The Pressure Mat with Transmitter is really easy to set-up and use: simply place the mat on the floor of your desired location. This might be next to the bed of your elderly loved one to monitor when they get out of bed, or by the front door to ensure you'll be alerted should they leave the house. 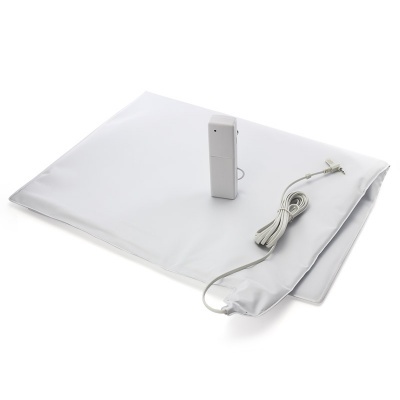 The Pressure Mat should be placed underneath a standard rug or mat to prevent slipping and obstruction; this also makes the appearance more discreet. If the mat is walked on, the pressure will trigger a signal to the included transmitter, which will then alert your existing MPPL Alarm Pager. 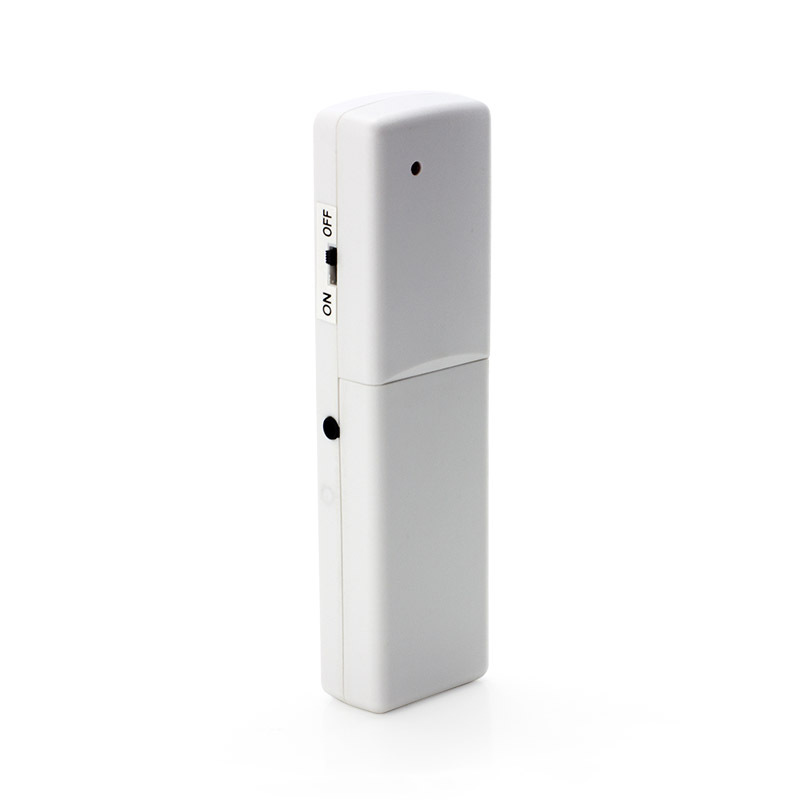 That way, you can monitor the movements of someone you care for more closely, without any intrusive additions to furniture or the wider room. Please note: the MPPL pager is not included with this product.